Hard as it may seem, hosting a party doesn't necessarily have to be a nightmare. Some tips to organise a bash that will be the talk of the town this season. Thanks to the socially conscious times we happen to live in, hosting a party with a discerning guest list is as important as getting an invite to the most happening bash in town. But, whatever may be the reason for your party, there's no denying the tiring days of planning involved in preparing for a few hours of unadulterated fun with friends and family. While guests are the ones who really spruce up a party, setting the right ambience - be it through costumes or music - is as important as serving delectable food and drinks. Depending on your sensibilities, guests and the occasion concerned, you can either go all out or choose to be subtle; the end result in either case should be the loudest cracker of a party. The first step to hosting a party starts right here, with the identification of its basic nature. Is it a bash for friends and family, or are you planning to call work mates and bosses? At the outset, it would be a good idea to carefully chart out your guest list. If somebody is too formal with you, keep him out of an event comprising an entirely casual group of people. Similarly, don't think too much before keeping a friend out of a work-only evening. It only helps to avoid awkward conversations among guests and people feeling like the odd-one-out. To decide the theme, brainstorm with a few people, browse the Internet or hire a professional agency to do everything for you. But remember, even an agency would need something from you to build the party on. As for the themes, let your imagination run wild - they can be as dramatic as Adam and Eve or as retro as 60's Bollywood and Elvis Presley. "Theme parties are seeing a tremendous rise all over the world. People are no longer shying away from donning a mask or wearing a specific outfit. Such concepts are only going to get bigger in the coming months." Before getting into other details, look into the logistics required to bring your vision to life. 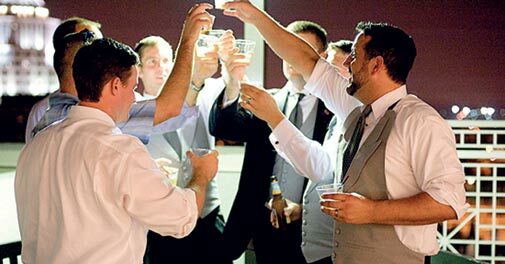 Keeping your budget in mind, decide on whether you want to pick a venue or just host the party at home. 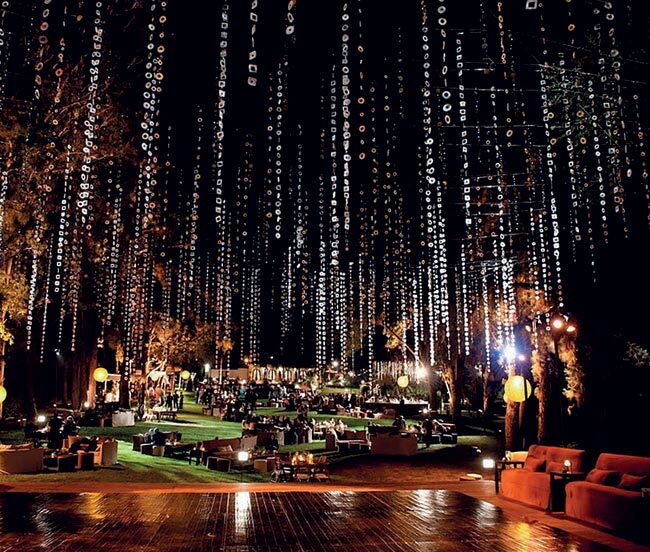 If you think that the theme you have picked is way too outlandish for a house party, choose an outside venue. But if you want the gathering to be more intimate, or simply choose to go easy on your wallet, a bash at your pad could be just what the doctor ordered. More importantly, feel free to alter your theme to make it more appropriate for the venue and occasion. Another important factor to be kept in mind is the purpose of the party. A celebratory occasion deserves a more lavish setting, and a casual weekend meeting can be made a close-knit affair. Depending on the venue and occasion, you might even have to alter your theme a bit to make it seem more appropriate. "The first thing when planning a party should be deciding on the location, keeping in mind the number of people you're inviting and their demographics. Make sure you have an open area or terrace if you're going to host a lot of youngsters." For the success of any party, it is of utmost importance to keep the guests entertained. While nothing beats a wonderful conversation, it's in your hands to make sure that the mood is right. Music maketh a party, and good tunes will certainly hit the right chord. While the music should depend on the kind of people coming to the party, it should also sync well with your theme. Playing Bollywood numbers for a wine and cheese gathering isn't a great idea after all! Also, always have a specific person, a DJ, assigned to the console - whether the party is at home or outside. A deck of cards or pool and foosball tables can be great additions to any party at home. You could even try a karaoke station; it's suitable for both home and outdoors. But, in the end, make sure you partake in a little enjoyment yourself - nobody at your party is going to be happy if the host keeps fretting over the smallest of issues. "For people who are keen on listening to good music in general, the genre could be anything from electronica, reggae and rock 'n' roll to hip-hop and Bollywood. For one, house music is a great rage with guests below 25 years of age." Every party has a herd that heads to the bar as soon as it makes an appearance - showing how essential a good stock of F&B is. Make sure you stock your bar keeping in mind the drinking preferences of your guests, and don't forget to keep a few premium spirits for guests with a more discerning taste. 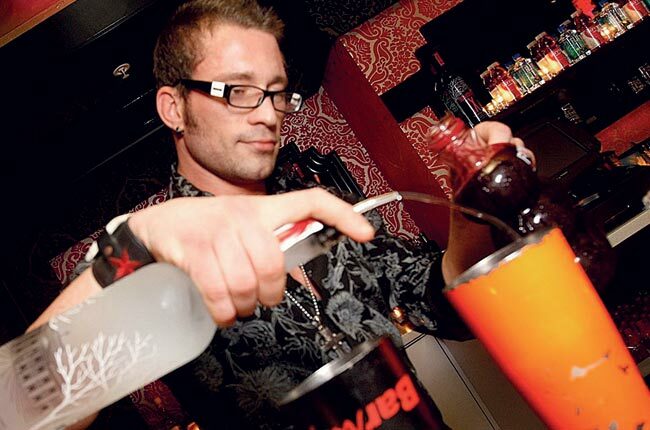 You may even explore the option of having an expert mixologist at your party; everyone loves a drink that's specifically made for them off the menu. The basic rule for deciding your food menu is - food should be easy to make and easy to consume. The host should not be busy cooking or overseeing the cooking throughout the party, and the guests should not find it messy to consume. The current trend is to have a buffet with a lot of variety. If it is a brunch, opt for more grilled items and different kinds of salads. For an evening party, food that's warming and comforting is always preferred. Go for a counter of soups along with khao sui and steaming noodles. For a party that involves dancing, the food should be light, non-intrusive and neatly arranged on a platter. Sushi is an excellent option for such occasions. Most importantly, make sure nothing's missing when the party starts, you don't want to run out of munchies halfway through! "Live stations with food custom-made to specific requirements are always a great idea. Fusion of different cuisines is the way to go. Spice up your menu with bruschetta with kimchi salad, fried rice with bacon or taco with Indian filling." "Keep the quantity of alcohol in check, add lots of fresh fruits to your cocktails and have a couple of batch cocktails handy. Flavoured alcoholic jello shots, shooters served in glassware and beach drinks served in coconut shells can also heighten the fun."